On July 15, Alabama’s second annual AL.com Young Professionals Summit is taking place at the Sheraton Birmingham Hotel. The day-long conference theme is “Millennials Rising.” Guests will have the opportunity to hear from Alabama’s rising leaders who will be tackling tough issues relevant to the state, talking about real change and the steps to make that change happen, as well as real-life examples of how to achieve career success. The event begins at 9 a.m. and tickets are $99. Visit http://www.alabamaypsummit.com for more information. The Summit provides a platform for young professionals from all career fields to connect, learn, share, get career advice and build relationships. Employers are encouraged to send their top talent to the Summit for a valuable leadership development experience. Registration ends July 13. For inquiries and more information, contact Ed Fields: efields(at)al(dot)com or (205) 325-2199. The host hotel for the event is Sheraton Birmingham. Hotel information and registration links are available at http://www.alabamaypsummit.com. Tickets for the full day Summit are $99. This includes breakfast, free professional headshots, lunch, snacks, and access to people, information and opportunities that will be hard to find anywhere else. Members of YP organizations can gain a 25% discount through their organization. Contact us to learn more about this ticket discount opportunity. 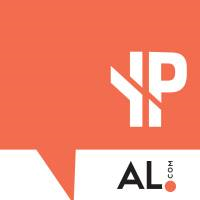 Follow announcements and news with #YPAlabama and visit http://www.alabamaypsummit.com or the YP Alabama Facebook page. AL.com is the largest news and information site in the state of Alabama. AL.com is owned by Alabama Media Group along with Alabama's three largest and most prominent newspapers: The Birmingham News, The Huntsville Times and Mobile's Press-Register. Alabama Media Group is a digital media company that operates AL.com, one of the country’s largest local websites, produces television and video programming, and publishes Alabama's three most prominent newspapers: The Birmingham News, The Huntsville Times and Mobile's Press-Register, as well as Birmingham magazine and The Mississippi Press. The company also offers digital marketing solutions – including audience targeting, search engine marketing and social media optimization; plus creative services, data analytics and event sponsorships. Alabama Media Group is part of Advance Local, a leading media company comprised of 12 local affiliated news and information websites that rank #1 among local media in their respective markets and more than 30 affiliated newspapers known for their award-winning journalism. Advance Local is part of Advance Publications, along with Condé Nast and American City Business Journals.